Known by the more lyrical name Matsutake, pine mushrooms are a prized fungus with a high market price tag. They are collected in season and can command as much as $100 per pound. The North American mushrooms are large white fungus while the ones from Japan are a dark, rich-brown color. 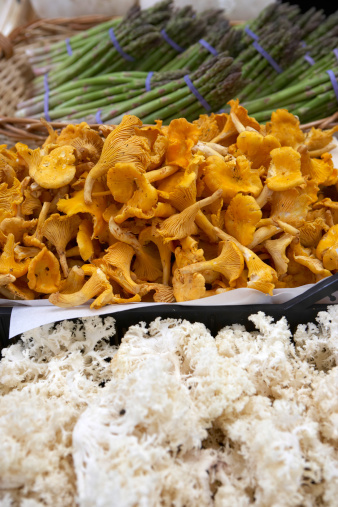 The pine mushroom is harvested in fall from under Lodgepole or Jack pine trees nestled amongst pine needles and moss. The mushroom is purportedly very difficult to grow, but you can find spore on some specialty mycelium sites. Easy to recognize by its fruity, spicy, pungent smell, this mushroom is well worth a little effort to grow. Pine mushrooms have symbiotic relationships with the roots of pine trees. Find a Lodgepole or Jack pine that is middle aged. 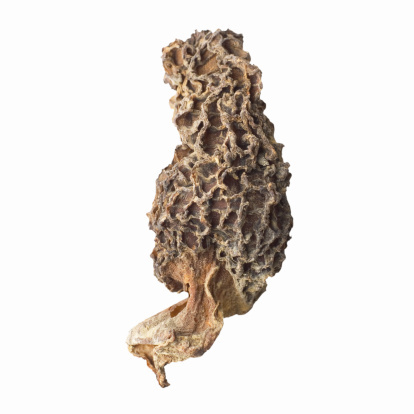 It will be around 30 to 50 feet tall and the roots will be mature enough to support the mycorrhizal relationship it has with pine mushroom spores. Pine mushrooms only grow in British Columbia (Canada), Washington, Oregon and Idaho under Lodgepole pines. They grow under Jack pines in the northeast. Look at the base of the tree for natural pine compost. The process to make it would take years to duplicate in the home, because it takes 10 years for a pine needle to decompose. It is more reliable to use the nature-produced product. The compost has leaves and other organic matter in addition to pine needles and is the preferred breeding site for pine mushrooms. Prepare the substrate by mixing 2 2/3 cups of brown rice flour and 8 cups vermiculite in a large bowl. Moisten them with 2 2/3 cups of water and then fill the jars. Put the seals on and close the lids. Place the jars in the large canning pot with enough water to come halfway up the side of the jars. Boil for 30 minutes. Allow the jars to cool. Inoculate the substrate you just made. Wipe the lids of the jars with alcohol and also the ice pick. Use the ice pick to poke a hole in the lid. Inject 1/4 cc of spore into the substrate. Cover the hole with tape. Put the jars in a dark place that is 85 degrees Fahrenheit, for 10 to 20 days. Use the pitchfork to turn over the compost at the base of the tree. Reserve a small amount to cover the spawn. Sprinkle the pine mushroom or Matsutake spawn in the substrate over the disturbed compost in late summer. Cover lightly with the disturbed compost. 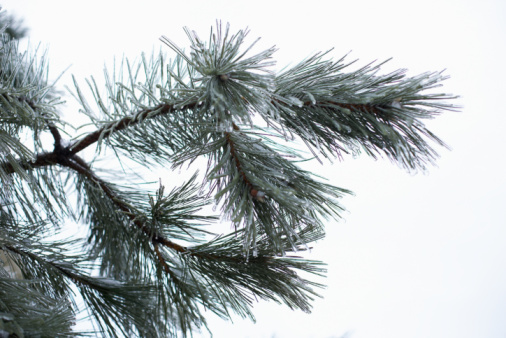 Pine mushrooms are nearly impossible to cultivate but using the natural growing conditions may enhance your chances. Visit the site regularly to make certain there is some moisture in the substrate which you can feel as coolness on your fingers. If the substrate is dry, it will not fruit, so check daily if there is no rain. Pine mushrooms are ready for harvest in mid to late fall.